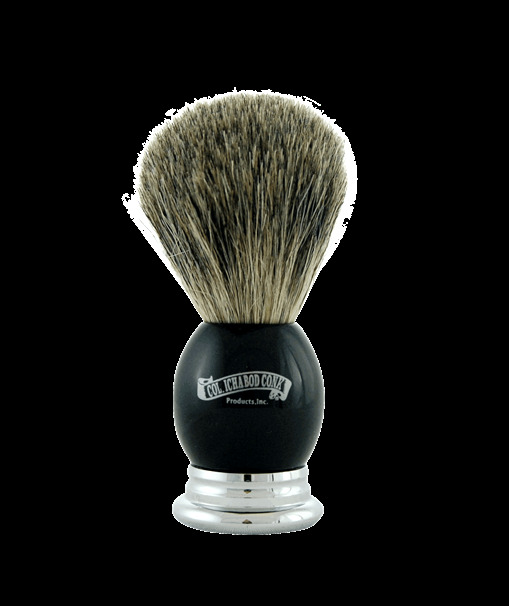 A combination of chrome and faux ebony produce a striking handle on this mixed badger hair shave brush. Not just good looks, but it feels great in your hand. A full head of blended best and pure badger (mixed badger) makes mountains of lather in no time. Knot size: 23 mm .